A perfect composition of exterior and interior design which beautifully orchestrates materials, tactile stimuli, light and sound. Total area: 680m². 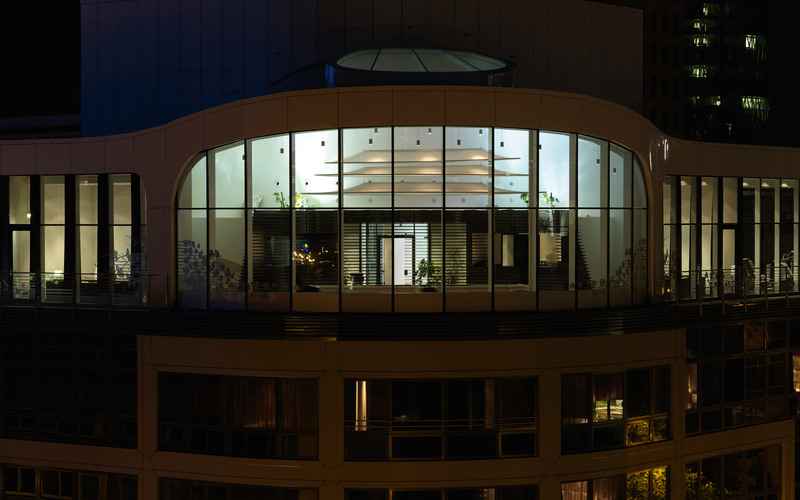 A world first up on the 6th floor: the Biorhythm Conference & Spa area, designed exclusively for Roomers by 3deluxe-biorhythm, featuring a biorhythm sauna, a steam bath, glass bead loungers, luxury showers and whirlpool. Lamellae weave their way throughout the entire conference & spa area, giving it its unique character. 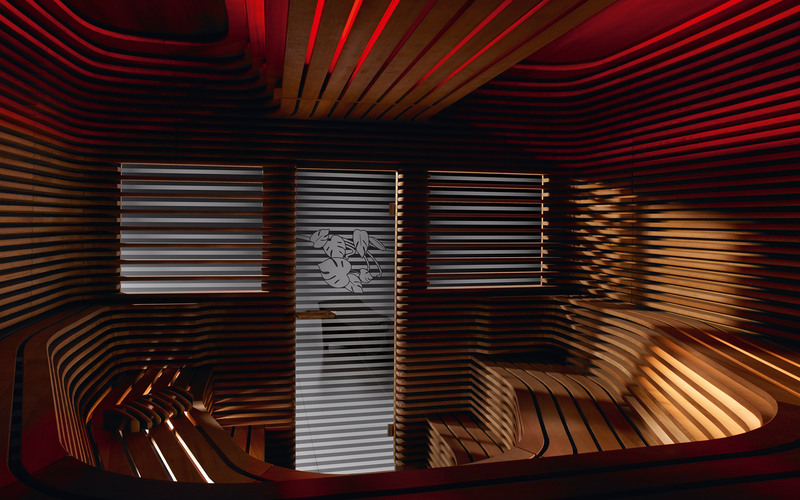 At the heart of this revolutionary Biorhythm design is a KLAFS sauna which appears to have been carved out of a single block – in perfect harmony with Nik Schweiger’s philosophy. 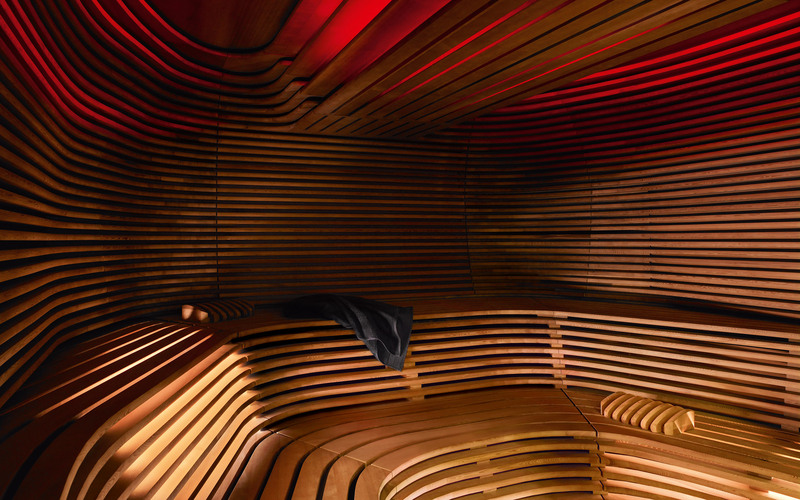 The sauna orchestrates interior design, materials, light and sound to create a perfect symphony. 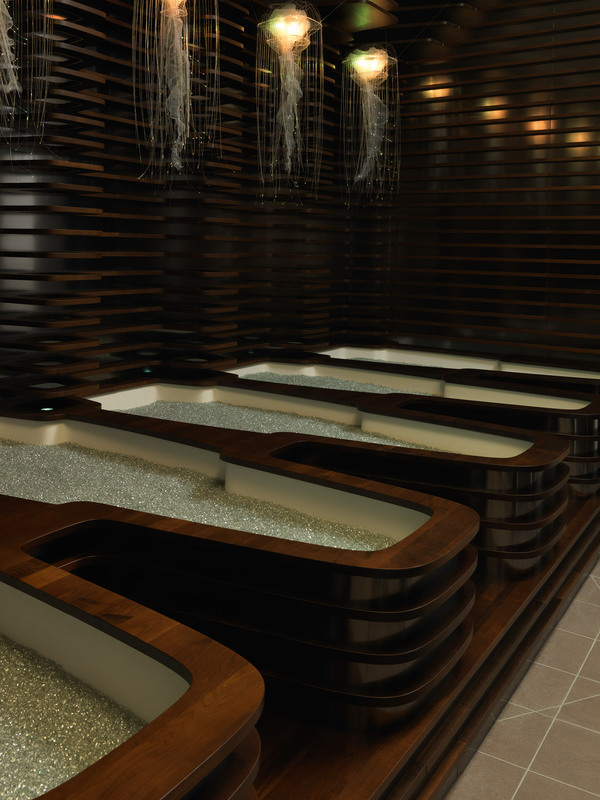 Guests can sink onto organically shaped loungers which are filled with warm glass beads, and enjoy the sensory stimulus. Flowing, glowing objects directly above the loungers remind one of enigmatic deep sea organisms, and draw you away to a world of natural, homogenous beauty.